Writing an infinite loop is not a DOS attack. Indeed, an infinite loop is not a DoS attack. What is inside that loop makes it interesting: it triggers a DoS attack by is flooding the History API with back and forward calls. Because of that, it triggers synchronous IPC and cause the main process to hang up to the freeze of the OS as the memory gets consumed. But I don't even know why we're talking about this here. You are on a completely different bug, the one you mentioned is the Chrome one (even though it somewhat works in Firefox on Linux). If this loop can freeze the browser or even make it crash, then it is a DoS attack. There is huge difference between freezing a single page,which is easily killed, or the whole browser/os. Now please explain the difference in action to the code above. I would call this a resource exhaustion attack. Funny enough a friend of mine just used this one code on the nsa.ec website and now no one can see the seized website, and this is definitly a DoS attack. "To invoke the hive-mind representing chaos. Invoking the feeling of chaos. The Nezperdian hive-mind of chaos. Zalgo. It crashed my whole windows pc. 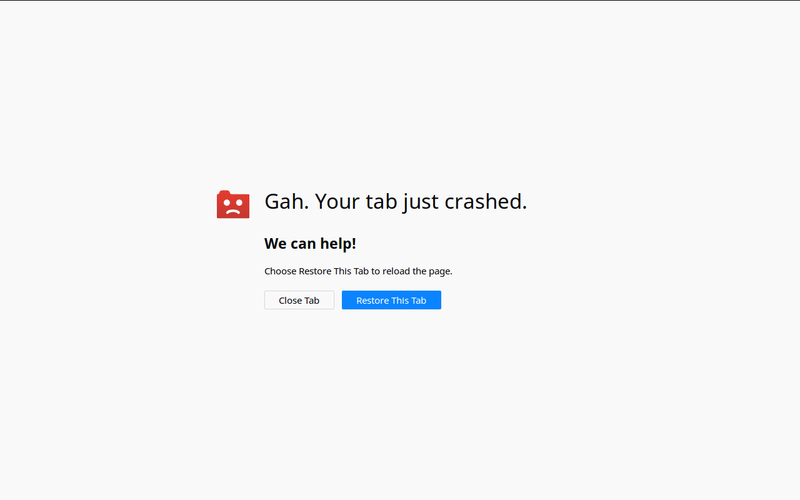 Even with Firefox 64 this will still bring down my whole system. Really surprised that this is not getting some more attention.